Welcome to Reid Ranch Resort. 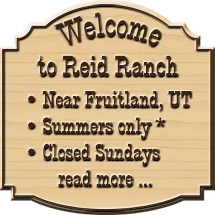 Reid Ranch is secluded in one of the most magnificent scenic and wildlife regions around. Enjoy the outdoors and the many activities available at the ranch.